Brothers Elmer and George Beale, fire fighters in front of fire station at 18 S. Webster Street, ca. 1910. Dawn Christenson recently shared this photo of her great grandfather Elmer Beale and his brother George as fire fighters ca. 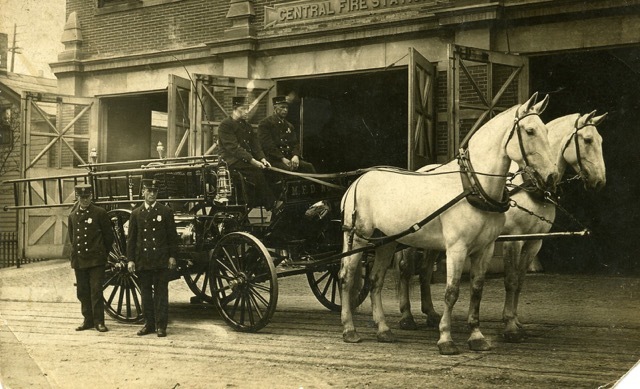 1910, when horses were used to pull the fire fighting equipment. They are standing in front of the downtown station at 18 S. Webster Street. By 1925 Fire Station No. 5 had been built at 2137 Atwood Ave. and the fire trucks were motor driven. 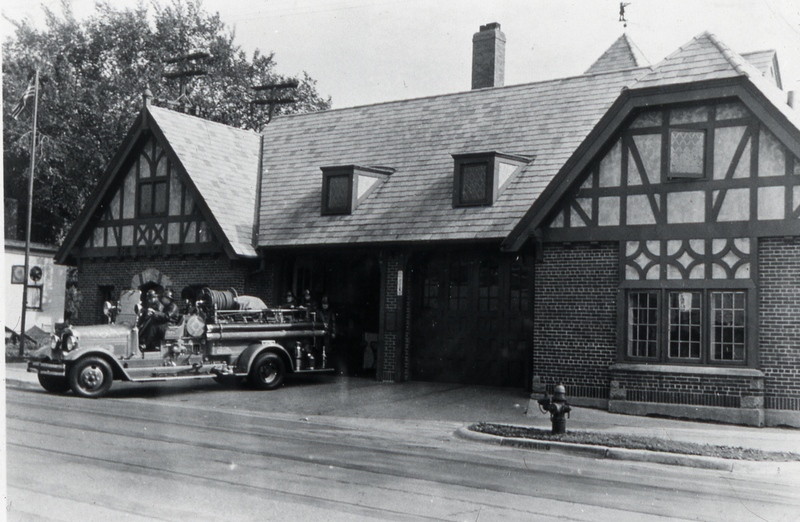 The station served the east side until 1964 when a new station was built on Cottage Grove Road. The building was used for a short time by the Boy Scouts Drum & Bugle Corp. and then it was torn down for the Eastwood Drive By-pass in 1973. Fire Station #5, 2137 Atwood Avenue, ca. 1940. Photo courtesy of Joe Hermolin. The September 20th meeting of the East Side History Club (1 PM at the Goodman Community Center, Evjue Room) will feature a slide show on the history of many of the businesses that were/are located along Atwood Avenue. It will also be the kick-off of our fundraising/info collection efforts to produce a second edition of the East Side Album.